Fundraising Page of Mariah Amaya "Curly Fry Woodsey"
The Fundraising Page of Mariah Amaya "Curly Fry Woodsey"
A Message From Mariah Amaya "Curly Fry Woodsey"
My first year at Unicamp, I joined session Transitional Youth Empowerment (TYE) because, as a former foster youth, I understand what it is like feel out of place, and I believe that this program makes it possible for Foster Youth to feel empowered in a safe space while also being given the opportunity to be a kid and encourage them to go to college. I need to raise $450.00 in order to go up to camp as this helps subsidize the cost for the campers. 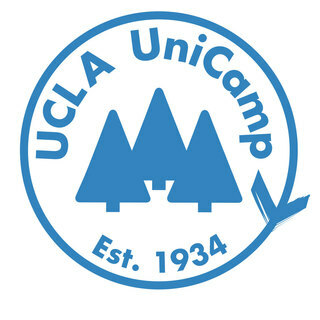 UniCamp is the official charity of UCLA students. Founded in 1934, UniCamp is an independently funded non-profit org that links the University with the community and is UCLA's longest-running tradition. We are made up of students, alumni, and past campers that are now volunteers. We act as leaders whom are driven to support kids from underserved backgrounds to give them the joyous experience of camp! Many of the kids that we bring up to camp have never experienced camp and have never been given that opportunity. Each year, UniCamp inspires nearly 1,000 children from low-income families to envision brighter futures by sending them, along with 350 student volunteers, to its residential outdoor summer camp, Camp River Glen, which is in the San Bernardino mountains. If you can, please help by donating! (It’s tax deductible!). If donating isn't an option at the moment, please share! To: Mariah Amaya "Curly Fry Woodsey"